There is no doubt that wetrooms are becoming more popular. While traditional bathrooms with a shower cubicle are still the norm, the trend is moving towards multi generational use areas which are practical and safe. There are some fantastic materials on the market which will ensure that your room remains watertight - regardless of whether you have a concrete or a timber floor. Why are wetrooms practical? In smaller spaces a wetroom is the ideal solution, maximising showering space without the need to close off an area with doors. Where there are elderly family members, a wetroom allows a larger showering area that can allow seating, or wheelchair access. There is no tray to trip over, and in some circumstances it can promote greater independence for the user. Often an elderly person will require some assistance in showering, and a carer can assist more effectively. While it can be difficult for some people to get in and out of a bath, a shower remains a more preferable experience. While some people may feel nervous about how effective the floors and walls can be - be assured that reputable products, and a good installer, can ensure that the room is "tanked" therefore making it watertight. The key is also good drainage. A professional installer will make sure the form (or tray) is level with the right amount of fall - and that the drain can accomodate the output of flow of water from the shower. 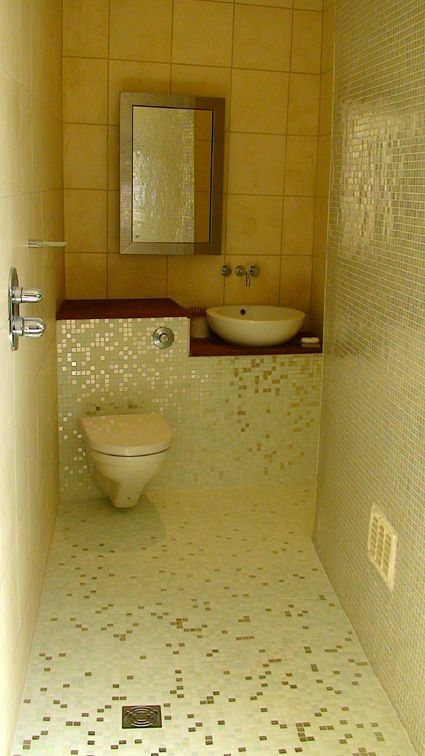 Watertight wall panels are a fantastic alternative to tile and grout, and can be adhered to many existing surfaces. They are stylish, easy to install, and do create a very neat finish. In fact the wetroom panels can be used throughout the rest of the room, as splashbacks, or surrounding a bath. 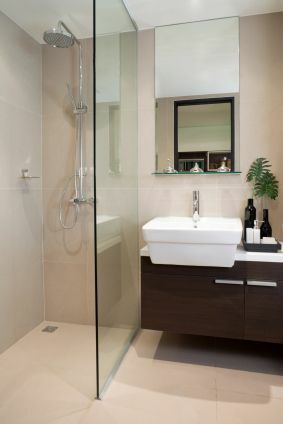 Porcelain or ceramic floor tiles are a very practical element - and of course electric underfloor heating can be installed under these type of tiles in the area not covered by the shower "tray". This is a great idea where space is at a premium, and there is no wall to attach a radiator. 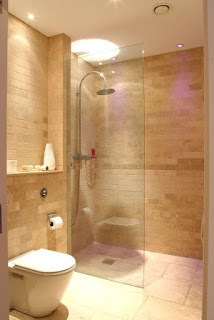 The idea of a wetroom design opens up a great many design ideas.